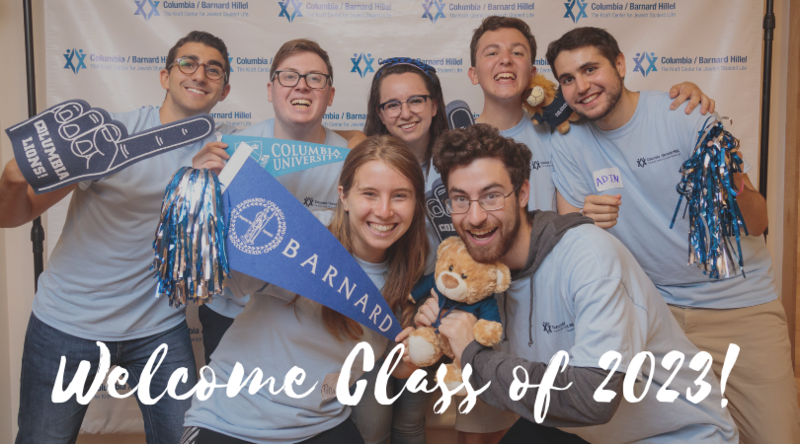 We’re so happy to welcome the class of 2023 to Columbia/Barnard! We’d love to connect – fill out the form below so that we can be in touch (we’ll even throw in a free Hebrew t-shirt)! Click here for information about Welcome Weekend, and your first FREE Shabbat dinner on campus! Please use your Columbia or Barnard email address, if you have it!